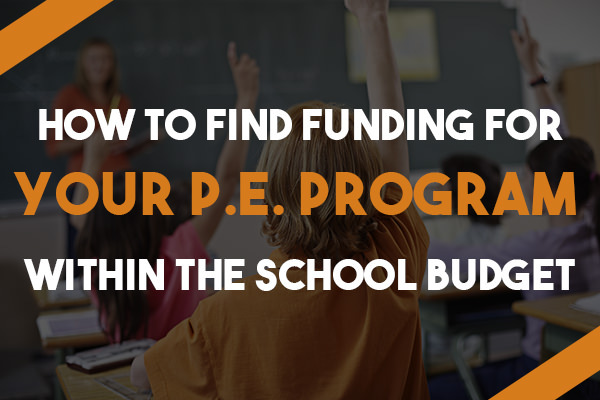 Funding to finance comprehensive programs for PE program is not easy. Traditional campus funding that is allocated to PE programs is usually limited. But does it have to be? When administrators develop their budgets each spring for the next school year they have a hard task of deciding what percentage of their budget they will use in each different program area. Continuous pressure on administrators to increase student academic scores on standardized assessments often dictates budget expenditures. Does that mean that PE budgets are hopelessly left with little or no funding at the end of the process? No! It means that as PE teachers it is our responsibility to demonstrate with data and scientific evidence how the level of fitness and wellness of students correlates to academic achievement. Communication is the key.